1 Parking Spaces. 2 Car Garage, Carport, Garage. Cul-De-Sac, Paved Road, Private Roads. 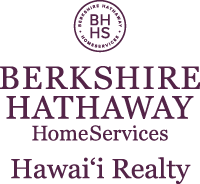 I am interested in 3031 Nihi Street, Honolulu, HI 96819. Courtesy: Hawaii Home Advisors, Inc.
Sign up for Inside AccessTM to view recent sales near 3031 Nihi Street. Courtesy: CENTURY 21 Paradise Intl.